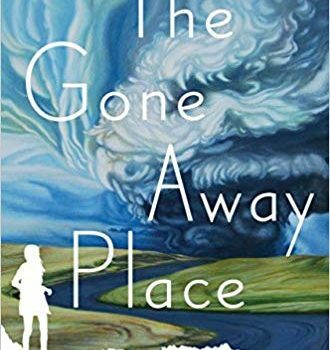 The Gone Away Place, Christopher Bar­zak (Knopf Books for Young Readers 978-0399556098, $17.99, 304pp, hc) May 2018. On May 31, 1985, a series of devastat­ing tornadoes swept through Ohio, Pennsylvania, New York and Ontario, Canada. To this day it is the largest outbreak to hit the region, leaving 90 people dead, thousands injured, and amassing up to a billion dollars’ worth of damage. Christopher Barzak was ten years old when the tornadoes struck his home­town of Trumbull County OH. Unsurprisingly, this event – which crushed cars, crumpled stor­age tanks “like paper cups,” and lay waste to neighborhoods – left an indelible impression on him. 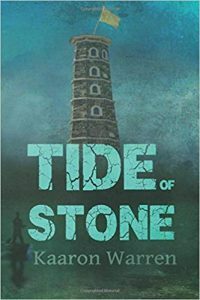 As Barzak explains in an Author’s Note that concludes the novel, his memories of the storm, the chaos, the painful aftermath, coupled with the Japanese tsunami in 2011 (his home for two years) compelled him to write The Gone Away Place. On the morning of the tornado outbreak that will flatten the village of Newfoundland PA, El­lie Frame confronts her boyfriend, Noah, over the amount of time he’s spending with another girl, Ingrid. Things are said that can’t be taken back, and a furious Ellie travels out to the local lighthouse, a regular teenage haunt, to cool down and collect her thoughts before she heads into school. Ellie is, therefore, in the lighthouse when the tornadoes hit. From her vantage point, she watches in horror as a twister flips a gas-tanker into the west wing of her school. The resulting explosion kills many of the students, including Noah and Ellie’s close friends. As the community comes to terms with the death toll, and as the families mourn, Ellie starts seeing the ghost of one of the dead, her next-door neighbor Timothy Barlow. At first, Ellie thinks she’s hallucinating, that Timothy is a symptom of her grief. But when Timothy appears, again, in the backyard of his house listening to music, El­lie confronts the apparition and, to her surprise, discovers that not only does Timothy respond to her questions, but she can touch him. It’s not just Ellie who is seeing ghosts. Mrs. Hendrix, the mother of Ellie’s best friend Becca, confides at her daughter’s funeral that she has seen Becca “every night since she passed.” Ellie’s father, managing the recovery crews, also witnesses the apparitions of Becca and Rose. It’s Becca who explains to Ellie that the dead are trapped in a grey limbo between our reality and the world to come. It’s Ellie, though, who figures out that by recording a ghost’s last will and testament, she can free their essence. However, not every ghost wants to leave. 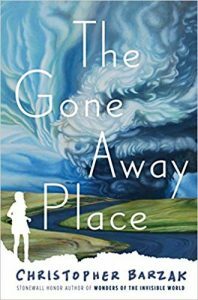 The Gone Away Place is a powerful and emotional novel that never feels manipulative or heavy handed. I can imagine a poorer version of the book where the ghosts are employed as a therapeutic device, a coping mechanism for our grieving protagonist. 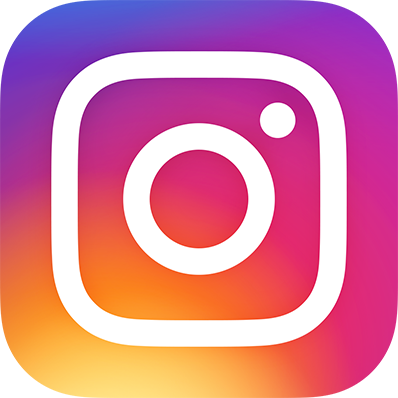 Yes, Ellie is given the opportunity to say a final goodbye to her close friends, and yes, the experience of freeing their essence does allow Ellie to move forward. As she notes in the final pages of the book, “that hole in the center of my body… didn’t feel so big, so deep or wide, as it once did. It has closed up a little.” The key here is that there’s still a hole, Ellie has only begun the recovery process, and there’s no guarantee that her psychic wound will be completely healed. 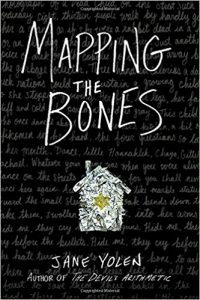 The manner in which Ellie deals with the unexpected, traumatic, and senseless loss of her friends isn’t just central to her story; Barzak finds room in the narrative to consider how others in the town have handled the tragedy. Ellie’s par­ents, a visiting psychologist, Ingrid’s mother, and those who died on that fateful day, all of them provide different perspectives on the disaster and their abilities (or lack thereof) to cope in the aftermath. These diverse voices not only vary the tone of the novel, they also illustrate that processing grief is a unique, intimate experience that can’t be washed away by the miraculous appearance of the dead. In fact, it’s the dead that provide the novel with its most powerful and poignant moments – not just the trauma of dying, but their memories of a life barely lived, the regrets, the joy, and the love. For a novel that is so astute when it comes to grief and trauma, the ending is a minor stumble. 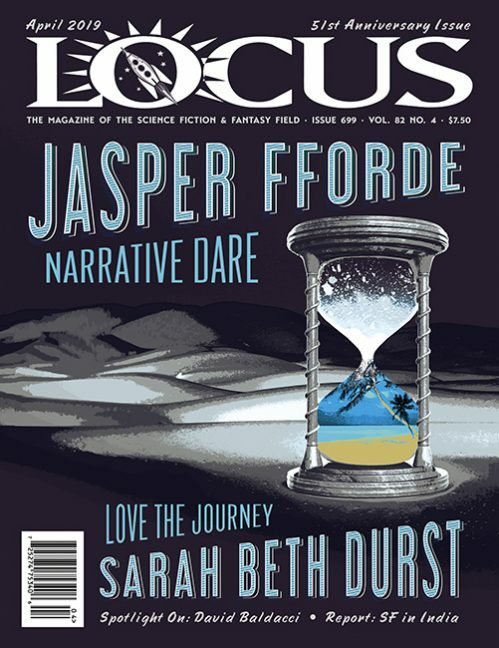 [Editor’s note: spoiler warning] Ingrid, the focus of Noah and Ellie’s argument in the opening pages of The Gone Away Place, discovers that as one of the departed she can possess the living. In­grid despises Ellie for stealing Noah away and so, with the assistance of her mother, contrives a plan to inhabit Ellie’s body. 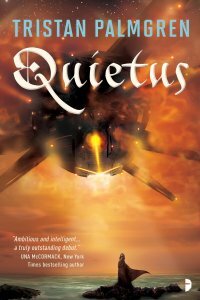 This subplot is an abrupt change in tone that feels shoehorned to provide an element of drama to the novel’s climax. Even here, Barzak resists supernatural pyrotechnics for a resolution that’s compassionate and touching. A slight stutter at the end doesn’t undermine the novel’s sensitive and insightful approach to the experience of trauma, the process of recovery.